The primary objective of this project was to improve the City of Pittsburgh’s greenhouse gas inventory process. Mike Blackhurst and Inês Azevedo were chosen by the City of Pittsburgh lead, Ari Lattanzi, to collaborate with them to improve the City’s semi-annual greenhouse gas inventory and inform the development of its third climate action plan (CAP) as it pursues a 20% reduction of CO2 emissions from 2003 levels by 2023. The project team was later joined by Sarah Yeager. The Pittsburgh, PA-TEX project on “Improving Greenhouse Gas Inventories” was completed in December 2016. To accomplish the project’s objectives, the team coordinated for four months to achieve two goals: standardizing data acquisition and delivery, and producing an uncertainty analysis. To achieve its first goal, the project team coordinated with local utilities to develop data-sharing agreements, enabling the city to receive the same data year-to-year in a consistent format on a set timetable, thus streamlining the greenhouse gas inventory process. The high-resolution data acquired will enable more accuracy and accountability as the city pursues carbon mitigation initiatives. While the City’s data acquisition process was improved through these efforts, there nevertheless will remain uncertainty in the data used to produce the greenhouse gas inventory. The team performed a one-way sensitivity analysis on the inputs supplied to Pittsburgh’s previous greenhouse gas inventory in 2013. This analysis provides insight into the dominant sources of uncertainty and variability and the influence of external emissions, thus enabling the city to prioritize future data collection efforts around those major sources. The City can now also explore implications of mitigation activities and can communicate and summarize uncertainty in public communication and decision-making contexts. This shift in thinking about emissions reductions – from deterministic measurements to probabilistic methods – makes for a more transparent and realistic assessment of progress in mitigating emissions. By applying the probabilistic method supported by the uncertainty analysis model produced through this collaboration, Pittsburgh is able to assess what uncertainty is meaningful and whether uncertainty is decreasing over time, and determine whether an observed reduction is significant or within a margin of error. The analysis found that the largest sources of uncertainty are electricity emissions, heating and cooling degree days, and transportation factors including fuel economy and miles driven for gas-powered passenger vehicles and light trucks, and diesel-powered heavy vehicles. In reflecting on the project and its outcomes, Sarah expressed that the TEX project’s scope of work has shaped the City’s thinking regarding its forthcoming Climate Action Plan and their climate mitigation plans moving forward. The City’s additional clarity regarding carbon emission sources and its adoption of this approach to measuring and accounting for uncertainty will be reflected in the Climate Action Plan, specifically regarding approaches to measuring and tracking emissions. There is value in revising how greenhouse gas emissions reduction goals are framed, including efforts to decrease uncertainty in data collection and to communicate unavoidable uncertainties. Sometimes staffing changes in a city can result in adjustments to the composition of a project team. When that happens, it is essential that the team make sure their new partner is fully brought up to speed, and that they open themselves to adjusting the framework for communication and delegation to include their new partner. If the new individual is able to shadow the outgoing partner for a period of time, this can support the transition. Meanwhile, to the extent that an outgoing partner is able to remain engaged with the project, their contributions and insights are extremely valued. Even after the project is well underway, it is important to continue to revisit the project goal and each individual’s role. Taking the time over the course of the project to reflect on roles, objectives and communication can ensure continued success by bringing to light any concerns or issues that may not be voiced otherwise. If you are interested in learning more about the specifics of this project and how you might replicate this methodology in your own community, please contact Mike Blackhurst, Research Development Manager, University of Pittsburgh University Center for Social & Urban Research, Inês Azevedo, Associate Professor of Engineering and Public Policy, Carnegie Mellon University, or Sarah Yeager, Sustainability Office, City of Pittsburgh. You can also read more about the Pittsburgh, PA-TEX project on the poster and PowerPoint slides presented by Ari and Sarah at the American Geophysical Union Fall Meeting in December 2016. A white paper outlining the methodology applied for this project and a downloadable version of the uncertainty model will be available on the TEX project page at a later date. In recent decades, Pittsburgh has emerged as an active hub for technology, education, healthcare and finance. The loss of steel production and industrial manufacturing jobs drove many younger residents from the city, and increased the relative size of the elderly population, but officials see these new sectors, along with the available housing stock, as strong levers for growth. To support this trend, Pittsburgh will need to address its industrial legacy—including regional energy production, and its transportation system and land-use patterns—which continues to impact the city’s air and water quality. Pittsburgh was referred to TEX by 100 Resilient Cities for help developing a more robust carbon inventory. The more robust inventory would have higher spatial and temporal resolution, be transparent and easily adaptable. The detailed inventory would provide a higher level of specificity and precision to mitigation goals. Transparency, achieved through documentation and clear data processing techniques, would allow the inventory to be easily updated when new data sources are identified. This transparency would also facilitate comparison to previous and future inventories and make it easier for other cities or regions to adopt the inventory. Electric – How are greenhouse gas emissions are generated by electricity use. How does the electricity use vary, and how does the demand cycle influence in the emissions – for instance, during peak demand does the profile of emissions change because of the need to use more carbon-intensive generation techniques? Knowing this would allow reduction in emission through timing of electricity intensive activities. This would likely require working with the local utility. Transportation – Previous inventories have focused on vehicle miles traveled and average daily use. Again, the city would like to develop higher spatial and temporal resolution estimates based on time-varying transportation patterns and changes in vehicle efficiency. For example, how much will emissions change due to the increasing efficiency mandated by changes in CAFE standards? Scope 3 emissions – Most emission inventories look at direct emissions, from direct activities like transportation or local manufacturing (Scope 1), and indirect emissions associated with emissions for electricity used in the region (Scope 2). In addition to improving the accounting for these two emissions, Pittsburgh would like to explore accounting for the emissions associated with products and services consumed in Pittsburgh but not produced there. Pittsburgh has developed three previous inventories, in 2003, 2008 and 2013, so they are not starting from scratch. They sought experts to provide examples, help them develop processes, and provide advice and answer questions as they develop the new inventory, not someone to develop the inventory for them. Local governments estimate greenhouse gas emissions to establish greenhouse gas mitigation goals and select supporting mitigation measures. However, current practices produce greenhouse gas estimates – also known as a “greenhouse gas inventory “ – of empirical quality often insufficient for robust mitigation decision making. Namely, current mitigation planning uses sporadic, annual, and deterministic estimates disaggregated by broad end use sector, obscuring sources of emissions uncertainty, variability, and external factors that influence mitigation opportunities. As part of AGU’s Thriving Earth Exchange, Ari Lattanzi and Sarah Yeager of the City of Pittsburgh, PA partnered with Dr. Inez Lima Azevedo (Carnegie Mellon University) and Dr. Michael Blackhurst (University of Pittsburgh) to improve the empirical approach to characterizing Pittsburgh’s greenhouse gas emissions. The project produced first-order estimates of the underlying sources of uncertainty, variability, and external factors influencing Pittsburgh’s greenhouse gases and addressed implications of mitigation decision making. The results of the project will enable local governments to collect more robust greenhouse gas inventories to better support their mitigation goals and improve measurement and verification efforts. The Pittsburgh project team made significant progress toward their goal of developing a robust carbon inventory for the city and its Climate Action Plan. During the partnership’s first month, the team sat down with local utility representatives to discuss procedures for sharing data, as well as the format and resolution that could be expected. The team learned that electricity and natural gas data are both available at neighborhood scale. (In previous years, it was only available by zip code.) Currently the city is working to generate memorandums of understanding (MoUs), which will establish a timeline and format for data transfer from the utilities to the city annually in an automated process. This will be a great advancement for Pittsburgh: an automated process streamlines the greenhouse gas inventory and high-resolution data will enable more accuracy and accountability in analysis and future carbon mitigation initiatives. In the weeks ahead, the team will be conducting a sensitivity analysis to address uncertainty in the data used in the greenhouse gas inventory. They intend to analyze Pittsburgh’s previous greenhouse gas inventory to get a better feel for the dominant sources of uncertainty and variability. Ultimately, this analysis will enable the city to prioritize data collection around those major sources to reduce uncertainty – and to be transparent in communications about where it remains. Regretfully, Ari Lattanzi had to leave Pittsburgh for personal reasons this month. Despite a geographical separation, she will continue to engage with the project team during their weekly calls and otherwise on a volunteer basis – this will enable continuity and support for the team throughout the duration of this ambitious and important project. Sarah Yeager is the Student Conservation Association Green Cities Fellow with the City of Pittsburgh’s Office of Sustainability. She is working to benchmark utility use and reduce greenhouse gas emissions, specifically within Pittsburgh’s building sector. With the Office of Sustainability, Sarah works on a multitude of projects that aim to improve energy efficiency both in City operations but also in the greater Pittsburgh area. She is also assisting the completion of Pittsburgh’s third climate action plan and an updated greenhouse gas inventory for the City. As a graduate of Saint Francis University Sarah has a B.S. in Environmental Engineering with a concentration in water systems and sustainable design. Ariel Lattanzi is working to update Pittsburgh’s greenhouse gas inventory protocols and data collection in order to guide ambitious emission reduction targets and actions in Pittsburgh’s third Climate Action Plan. As the Resilience Analyst in Pittsburgh’s Office of Sustainability, Ariel manages data to improve City operations, such as fleet electrification and recycling collection. She also supports the development of the Resilient Pittsburgh Strategy that will coordinate resources and programs to reduce chronic stresses such as poor air quality and prevent acute shocks such as hazardous materials incidents. A graduate of Middlebury College, Ariel designed, engineered and built a net zero solar powered home for the DOE 2013 Solar Decathlon. Ariel has a background in sustainable architecture and construction, natural resource planning, emergency management and response, and public health. Dr. Inês Azevedo is an Associate Professor in the Department of Engineering and Public Policy at Carnegie Mellon University. She also serves as co-Director for the Climate and Energy Decision Making (CEDM) Center. Inês is interested in solving problems that include environmental, technical, economic, and policy aspects, where traditional engineering approaches play an important role but cannot provide a complete answer. In particular, she is interested in assessing how energy systems are likely to evolve, which requires comprehensive knowledge not only of the technologies that can address future energy needs but also of the decision-making process followed by different agents in the economy. Inês has a PhD in Engineering and Public Policy from Carnegie Mellon University. Dr. Mike Blackhurst is the Research Development Manager at the University of Pittsburgh’s University Center for Urban and Social Research. 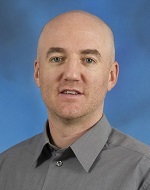 In this role, Mike collaborates with and connects academics, community organizations, and public agencies to identify data needs, articulate research questions, and motivate research resources around topics with community relevance. Mike enjoys research driven by policy relevance, particularly domains driven or influenced by communities, and has had the pleasure of serving on several local committees and boards in the Pittsburgh, PA and Austin, TX regions. He was recently invited to serve as a Pittsburgh area Science Ambassador for the National Academy of Sciences and the National Academy of Engineering. Mike has a PhD in Engineering and Public Policy from Carnegie Mellon University.